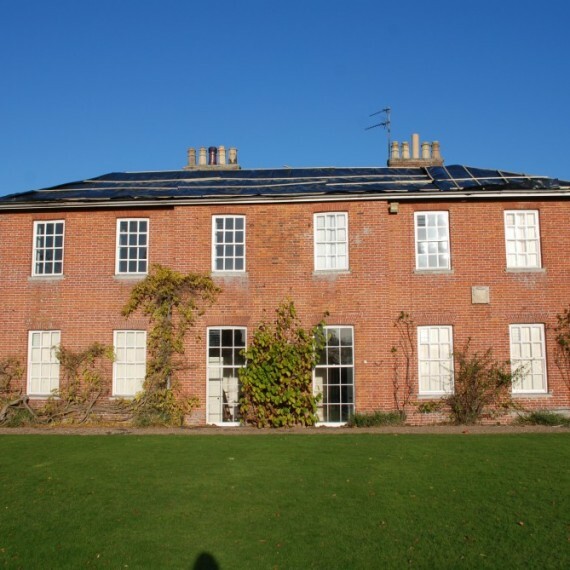 Claxby Hall is a grade II* listed house in the Lincolnshire Wolds, in private ownership. 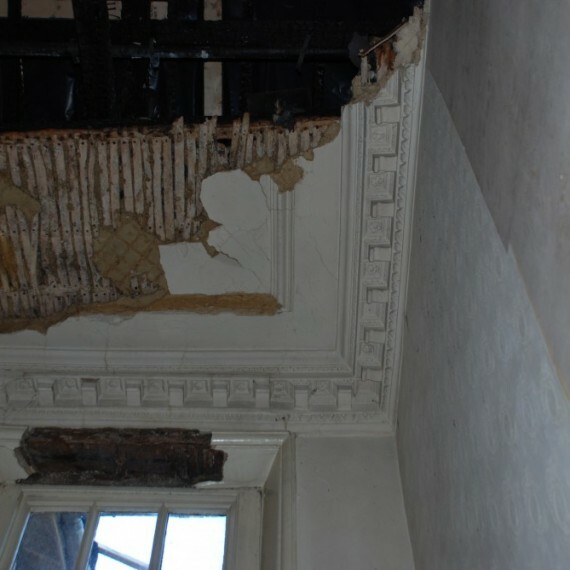 With much of its original construction of 1750-52 surviving, including a complete set of decorative plaster ceilings, it was gutted by fire in November 2011. 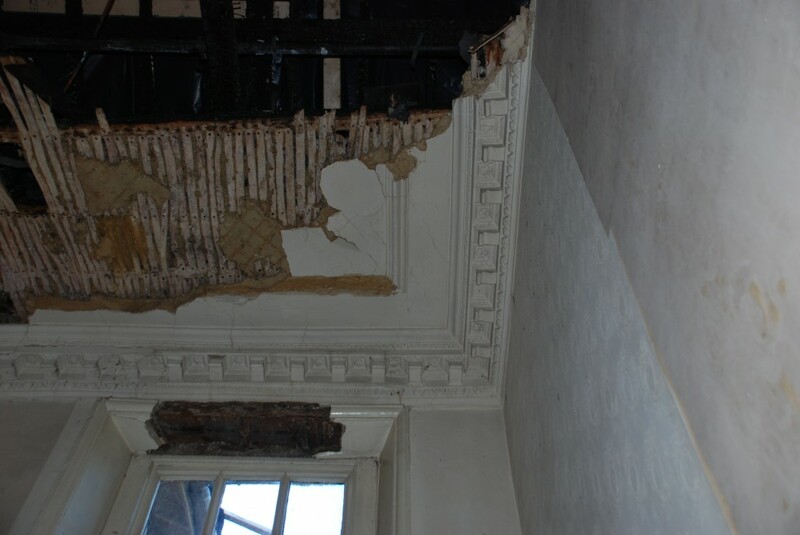 Although most of the ground floor interiors survived largely intact, the central staircase ceiling and all first floor ceilings were lost. 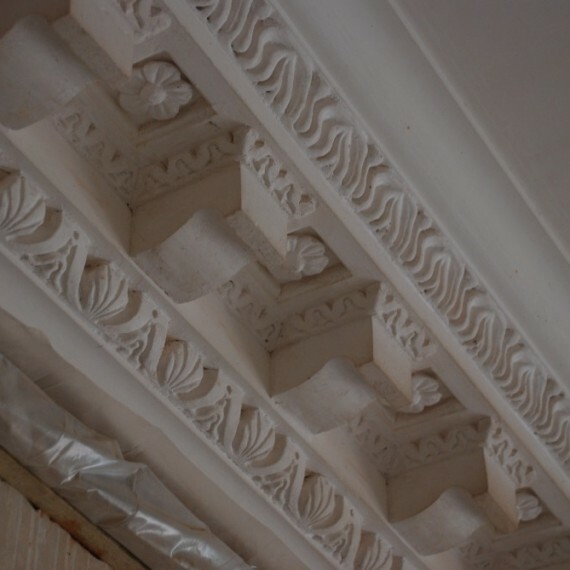 Skillingtons were bought in as consultants for the restoration of the ceilings by the insurer’s surveys (SP Property Services) within a couple of weeks of the fire and by a combination of archaeological examination of surviving fragments and historical research were able to determine the exact layout of the lost ceilings. 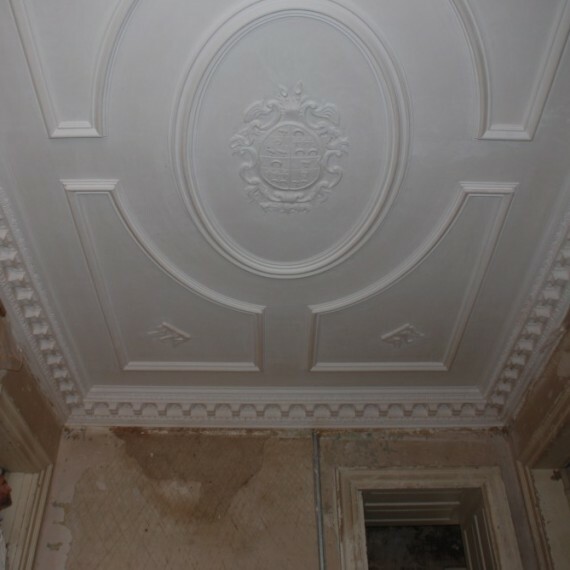 The staircase ceiling comprised an elaborate cornice surrounding fielded panels within which were various heraldic motifs and a central cartouche. 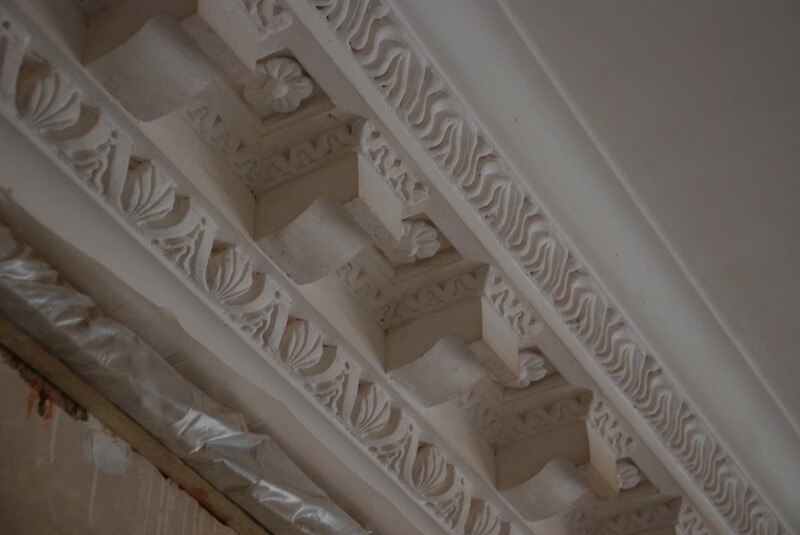 The other rooms had plain soffits but had cornices of various designs. 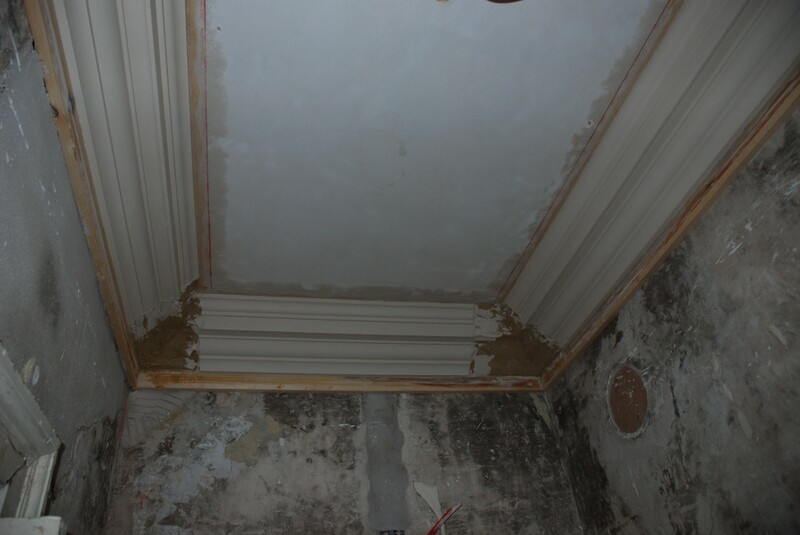 Analysis of the plaster showed that it was all of solid lime plaster, mouldings all run in-situ, and embellishment hand-modelled. 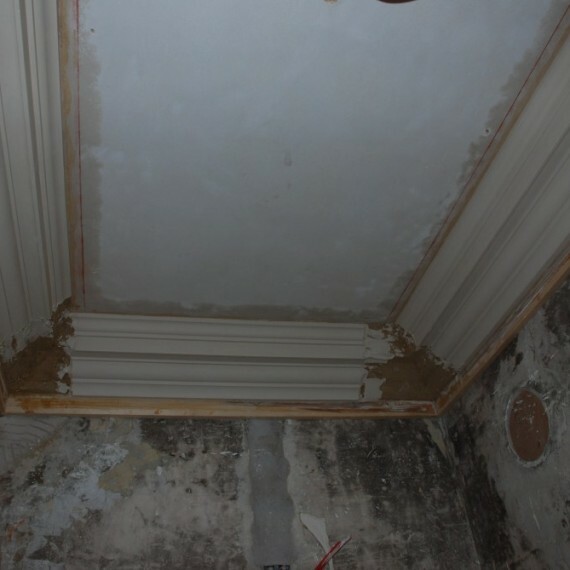 Only the finish coat was gauged with plaster of Paris. 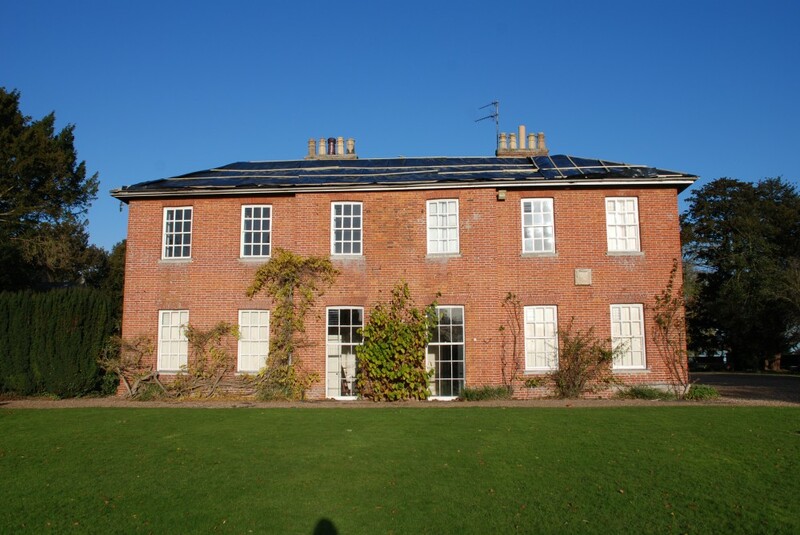 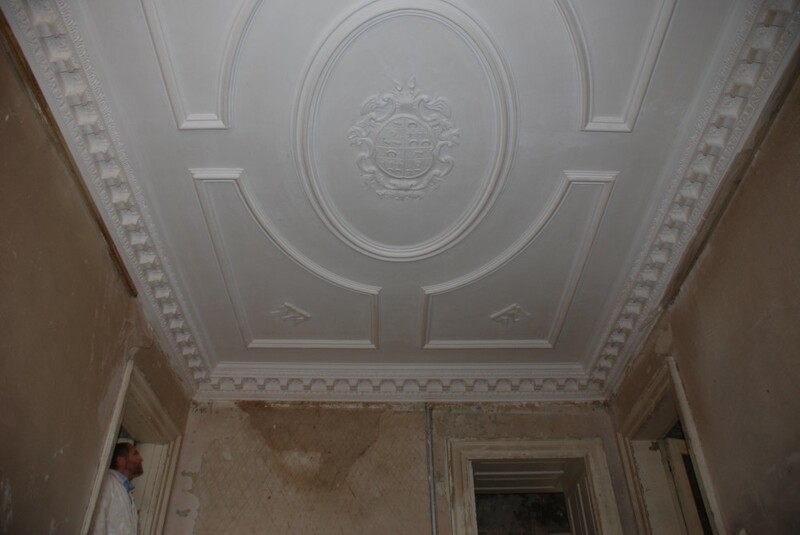 We were nominated sub-contractors for the subsequent restoration of the property and reproduced all missing ceilings using similar materials and methods to what had originally been there. 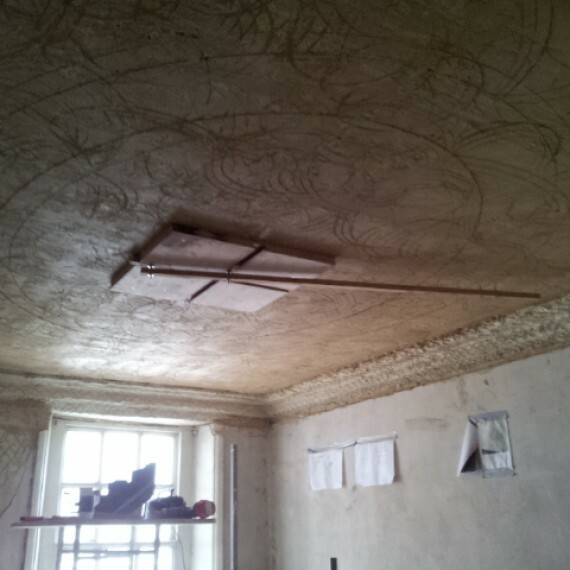 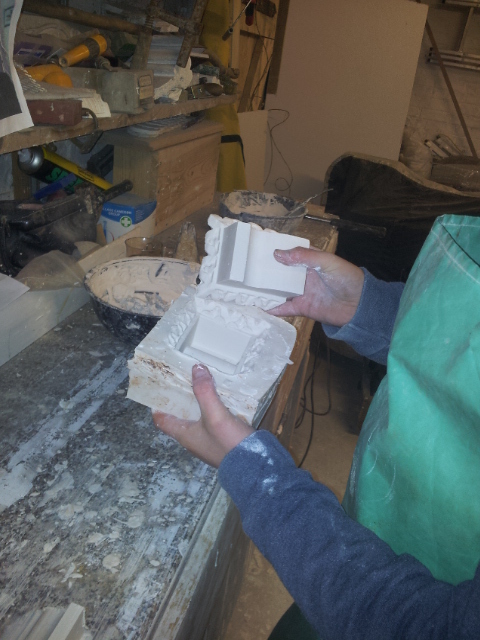 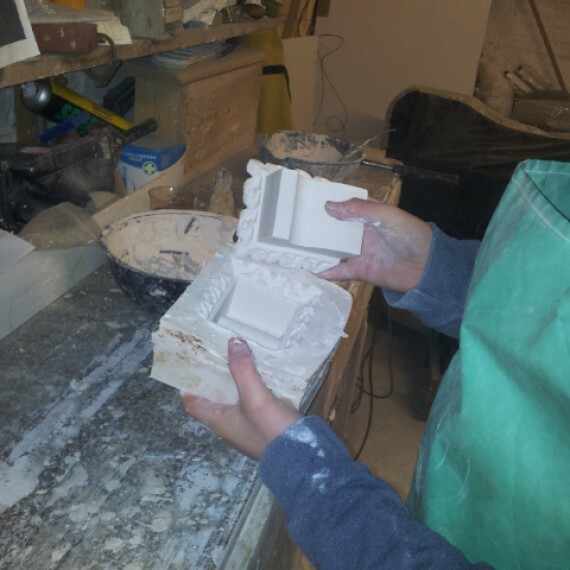 All work was carried out under the watchful eye of the local authority’s Conservation Officer and English Heritage in the first half of 2013. 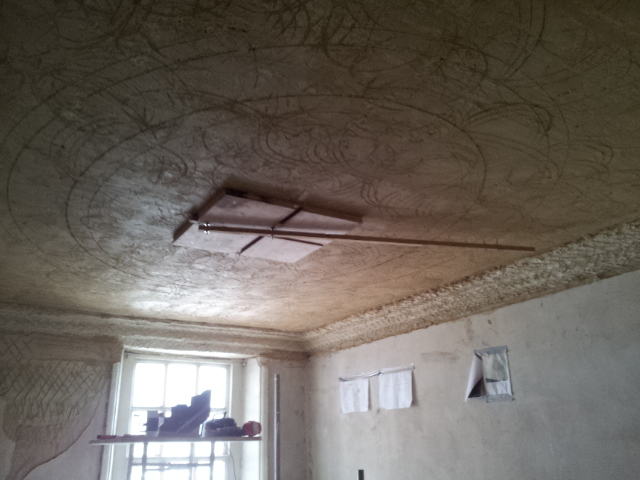 Anybody visiting the Hall now would not be able to tell that they were not looking at work of the 1750s!